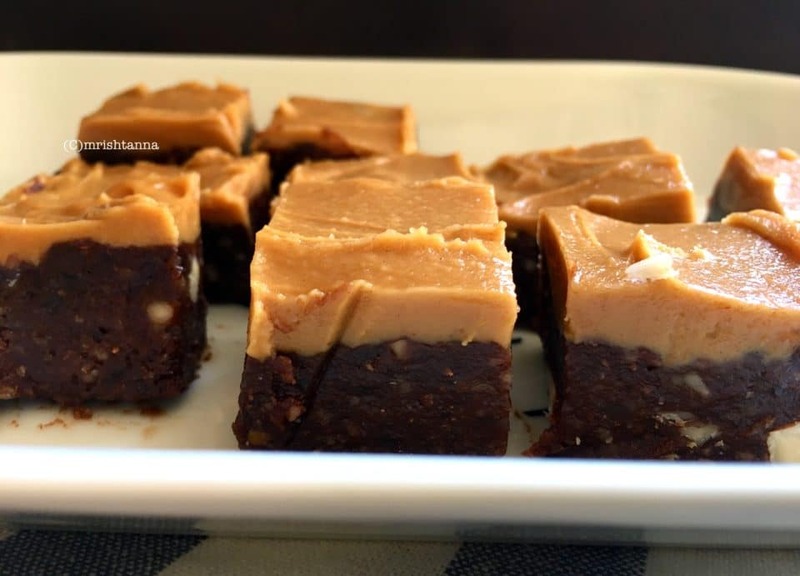 Today’s recipe is Â Almond Dates Fudge.Â -This simple dessert is so good and will be ready in the time it will take you to watch your favorite sitcom. And best of all, this recipe does not involve baking or any form of cooking. How simple is that? At the end of your recipe, you will have a creamy dessert you can munch on. I am hoping you will find fresh sweet dates to try this out today. If you are looking for a one stop shop for all these ingredients, Costco will be your best option. Â As always, keep the comments coming. You can leave a comment on this page or on my Facebook page. 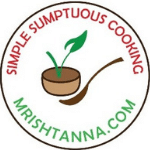 For more recipes please subscribe through email. Soak Dates for 15 minutes in water. In a separate bowl mix peanut butter, Agave nectar and Tahini evenly and set aside. Now pour the dates mix/fudge into a flat tray and press gently with greased spatula or with hand to flatten it. 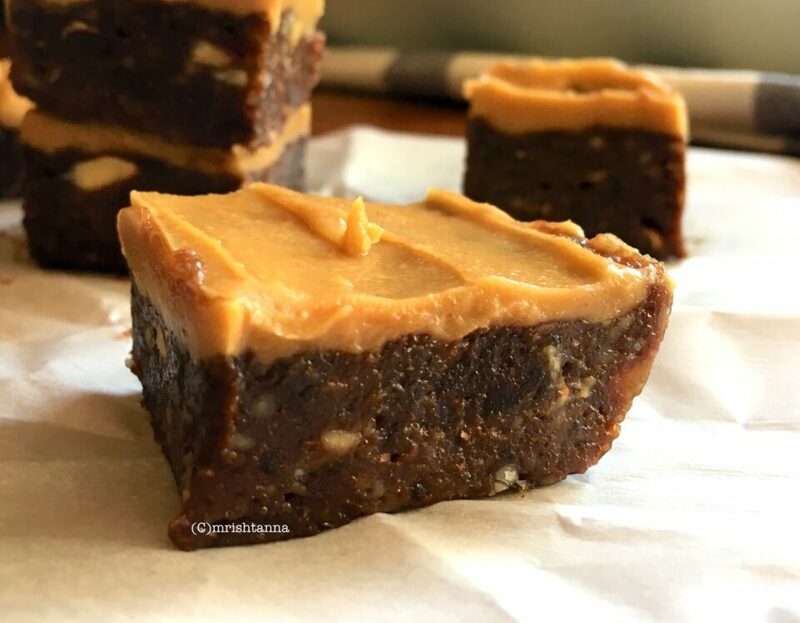 Top the fudge with the peanut butter-tahini mix and spread evenly. Dates-Almond Fudge is ready! Refrigerate until it solidifies. Thatâ€™s a Sumptuous dessert that can be ready in less than 30 minutes! Dates-Almond Fudge and a hot cup of coffee is a great match that can make any dinner end on a memorable note. Thanks. Yes you can use maple syrup instead of agave. Maybe I needed to squeeze the water from dates after they soaked? I just poured water out and kind of pressed on them before putting them in blender.